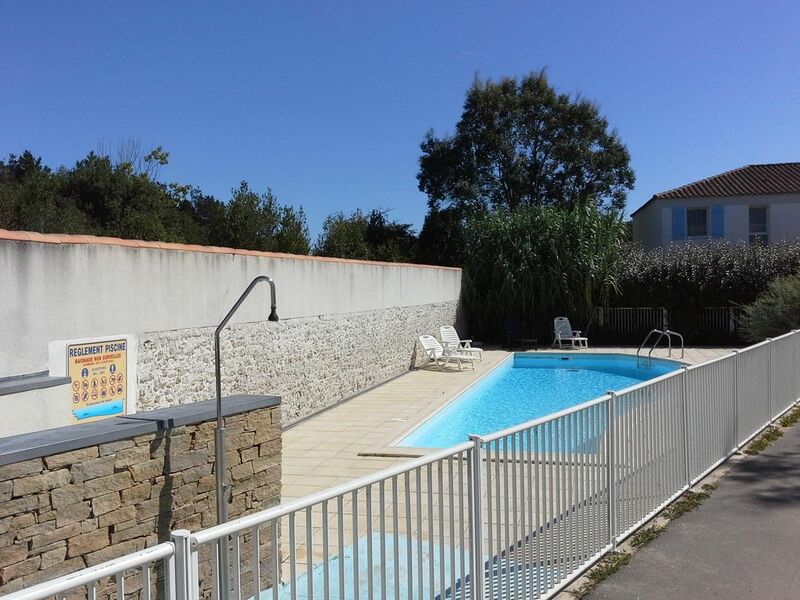 Located at the edge of the forest of Olonne, at the foot of bike paths and hiking trails, just steps from the ocean this house of 92 m² will welcome you, in a residence of 24 pavilions, with a swimming pool. The long beach of Sauveterre is only 1 km through the forest. Free shuttle to the beach 100 m from the residence in July / August. More than 100 km of cycle paths from the residence; forget your car and take the trails and footpaths safely for walks between forest, dunes and beaches ... on foot, by bike, or even on horseback (equestrian club 500 m). 8 minutes drive from the center of Les Sables d'Olonne, you will find all the riches that make the reputation of this seaside resort. We loved this holiday home! It has everything you need for a real home from home holiday... the children loved the pool! The beautiful beaches are only minutes away...it’s a great location! the owners were very hospitable and more than happy to help with any requirements! We shall definitely return! Tank you very much Tracy and Mark for your very Kind appréciation. Your litt le word touched us a lot. A lovely, comfortable house in a peaceful residential estate. There's everything you need for a relaxing holiday. All very clean. The pool can be seen from the property and it is not very busy, so you're likely to get it to yourselves. Merci pour vos appréciations. Vous avez été des hôtes très agréables. Nous sommes ravis que notre maison vous ait permis de passer d'agréables vacances. C'est avec grand plaisir que nous vous accueillerons de nouveau. Heel fijn vakantiehuis op een mooie locatie; Très belle maison dans un location magnifique. Dit huisje is een aanrader! Ruim opgezet, vlakbij het zwembadje en van alle gemakken voorzien. Daarbij zijn de eigenaren bijzonder vriendelijk en flexibel met bijvoorbeeld aankomst- en vertrektijden. Ce chalet est un must! Spacieux, près de la piscine et entièrement équipé. Les propriétaires sont très sympathiques et flexibles avec, par exemple, les heures d'arrivée et de départ. Voyageurs extrêmement sympathiques que nous accueillerions de nouveau avec plaisir.